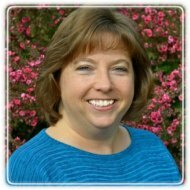 Rochester Hills Therapist: Debbra Bronstad - Therapist 48309. Send A Message To Debbra. Session Fees: $110 per 50-60 minute session. Want to use insurance? Fill out the form at www.GreatLakesPsychologyGroup.com to verify your coverage at my Troy office. Debbra is a Licensed Marriage & Family Therapist, who is passionate about helping men, women and couples find freedom from the root causes of their emotional, spiritual and relational concerns. Prior to becoming a therapist, Debbra spent 12 years as a church ministry leader. She led couples' relationship enhancement courses, led women's ministry and counseled hundreds as a lay counselor. For those who desire Christian-based counseling, Debbra is well equipped to integrate Biblical principles with the best of her professional training to help you reduce anxiety, resolve trauma, complete your grief or communicate better with your spouse. Debbra has also received training in Internal Family Systems Therapy (IFS) to help you make sense of conflicting desires and needs you may experience within your own soul. Studies have shown IFS to be effective in reducing pain, depression and even helping patients with rheumatoid arthritis experience improved physical function. Sometimes we can hold our emotional pain as physical pain in different parts of our body. Working through the various layers of emotions can bring relief and greater peace to mind, body and spirit. What could happen if you no longer needed to carry regret, shame, guilt, anger or hurt in the same way? Debbra has advanced training in Gottman Method Couples Therapy, integrating evidence-based research into therapy sessions about what we know makes and breaks relationships over the long haul. Contact Debbra to learn more about how her training and experience can help you find the freedom and wholeness you desire.